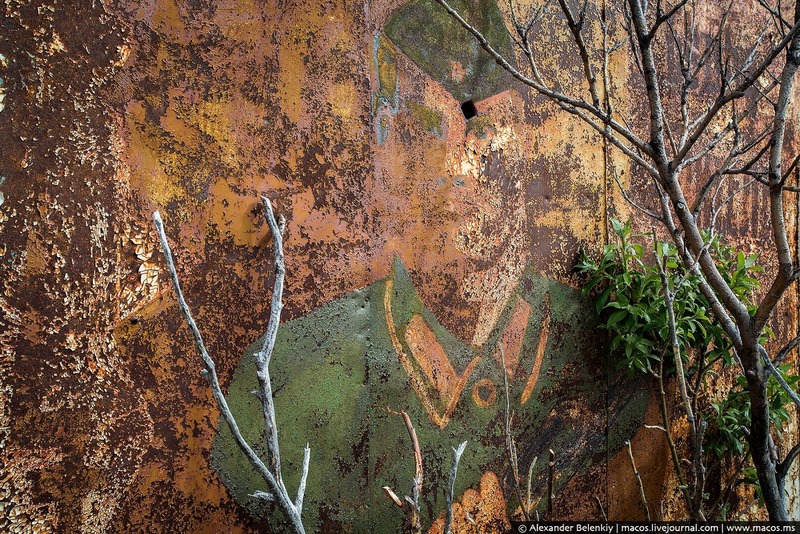 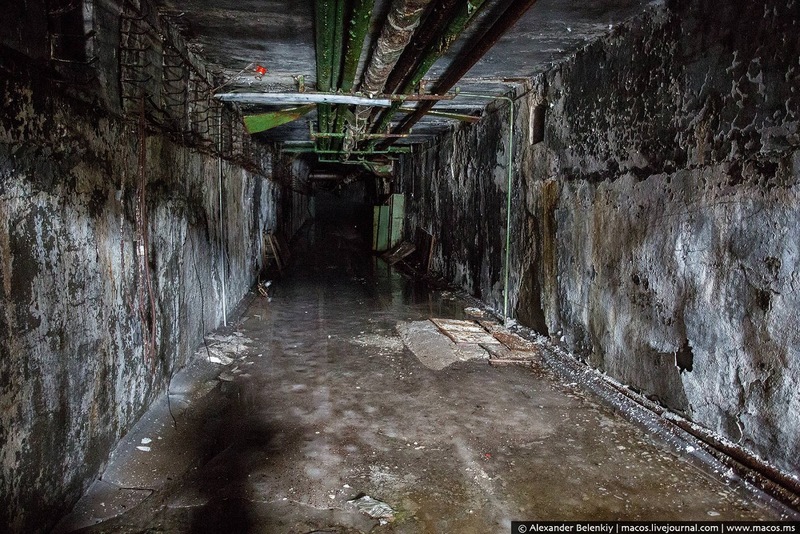 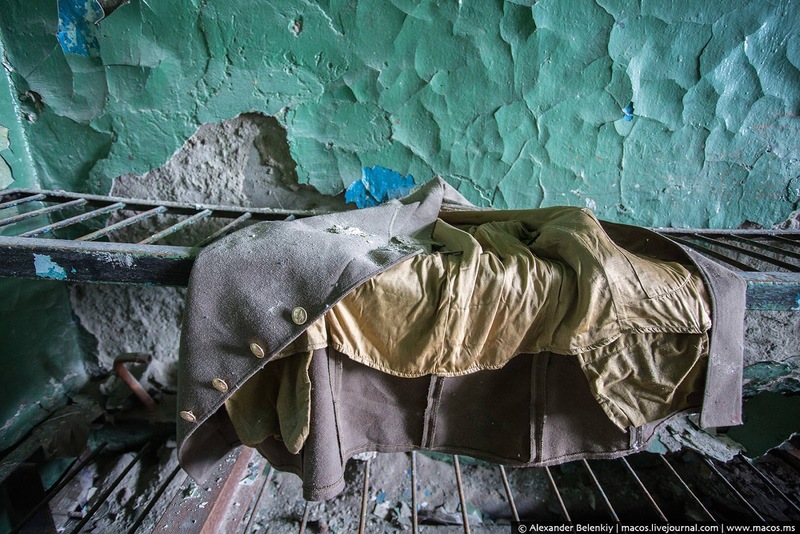 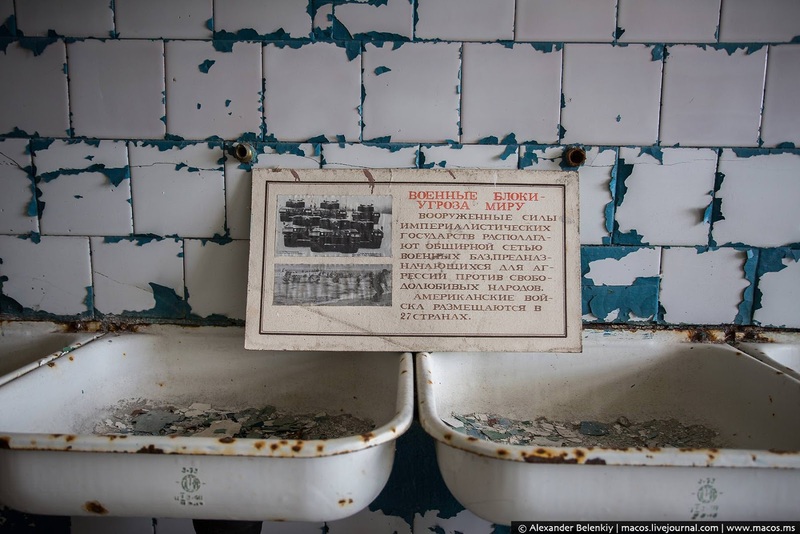 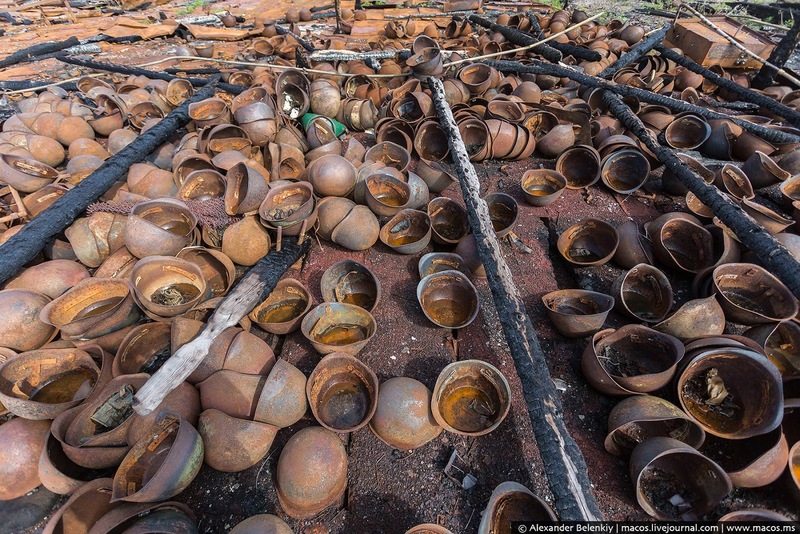 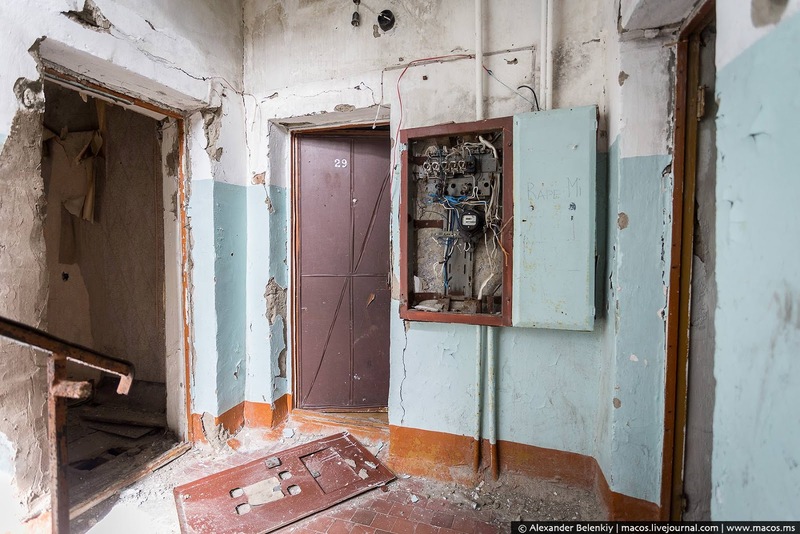 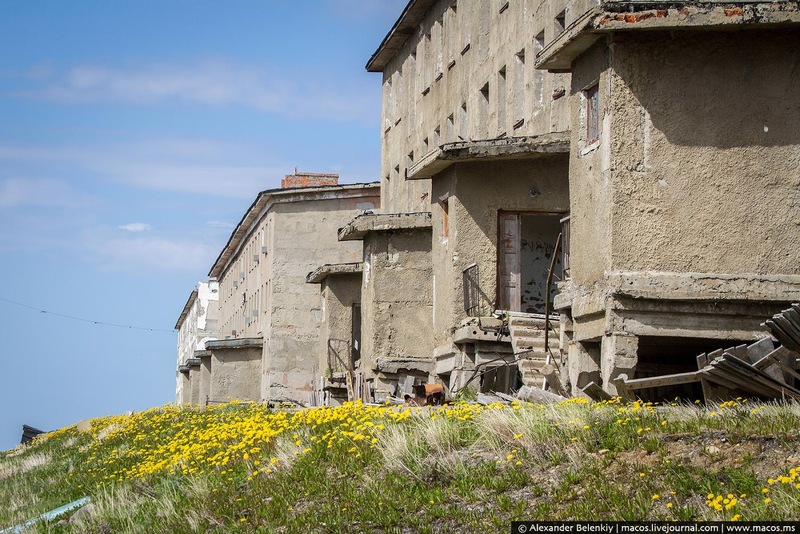 This is the secret Soviet city of Gudym, which once held enough nuclear weapons to wipe out half a continent. 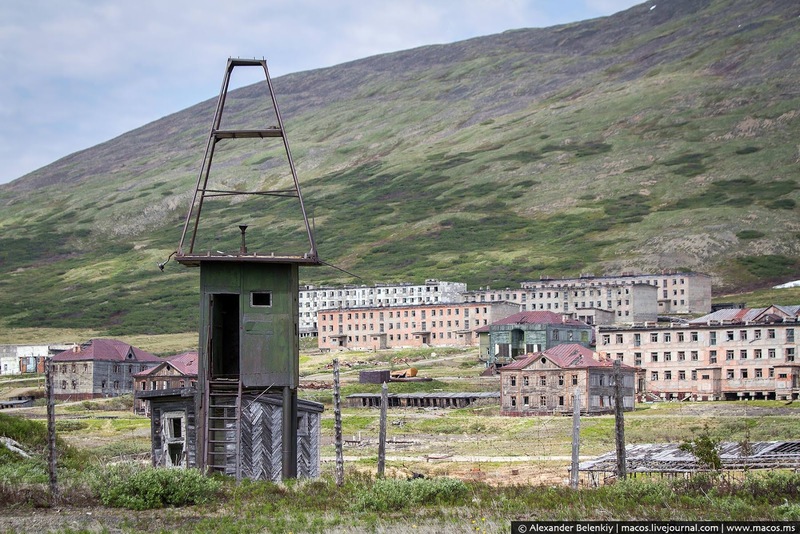 And during the height of the Cold War, had things gone south, they would have been aiming just across the fence, where a short 200km away, is the United States of America. 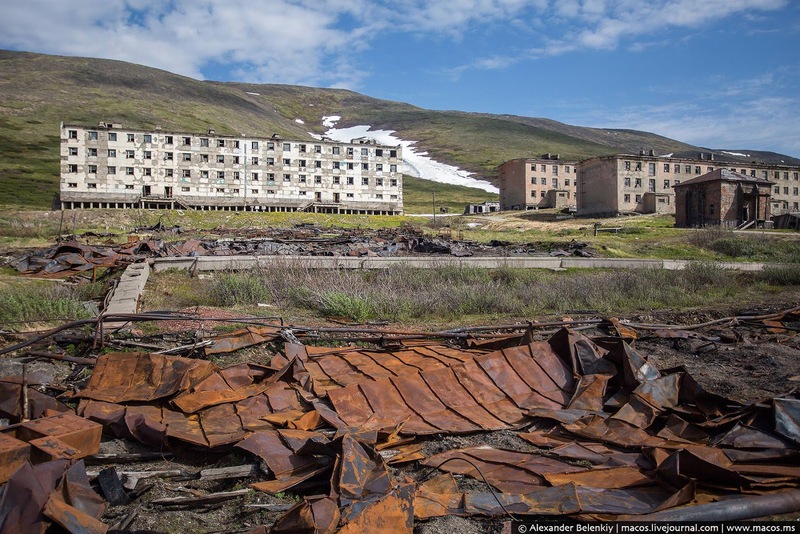 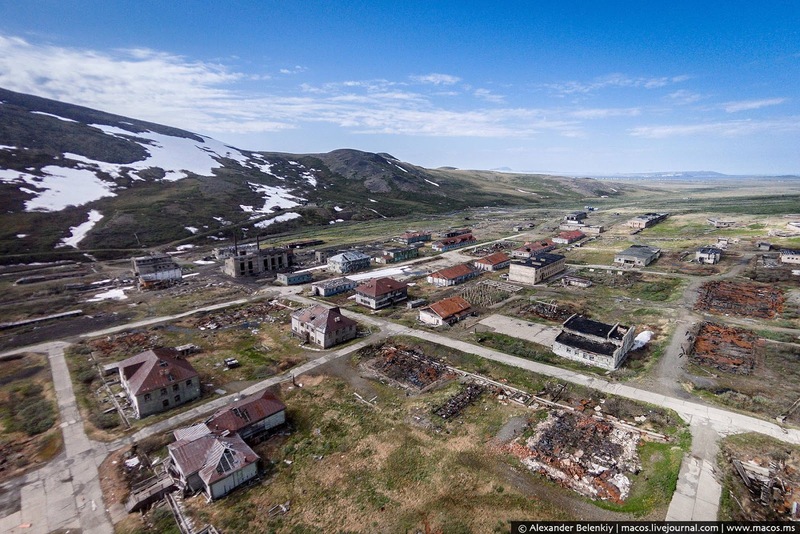 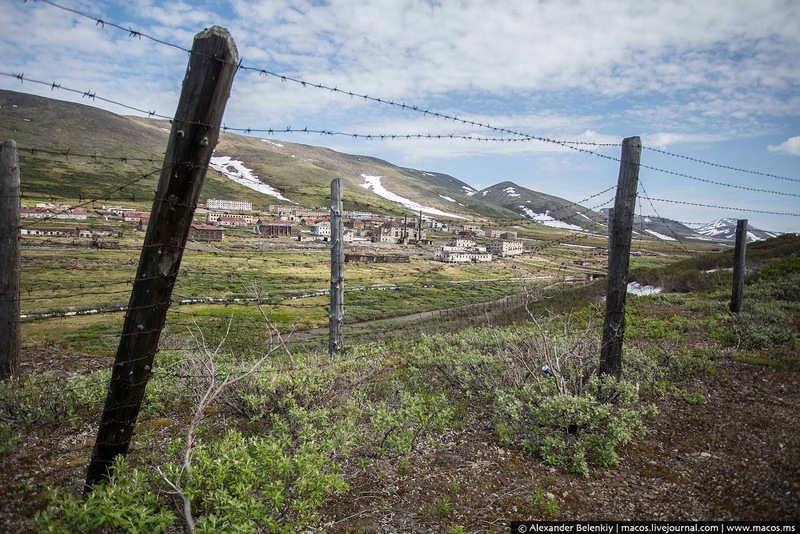 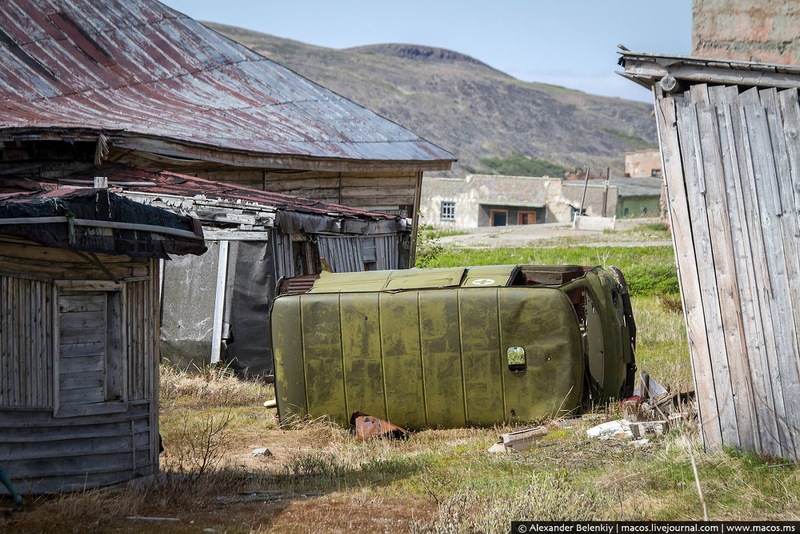 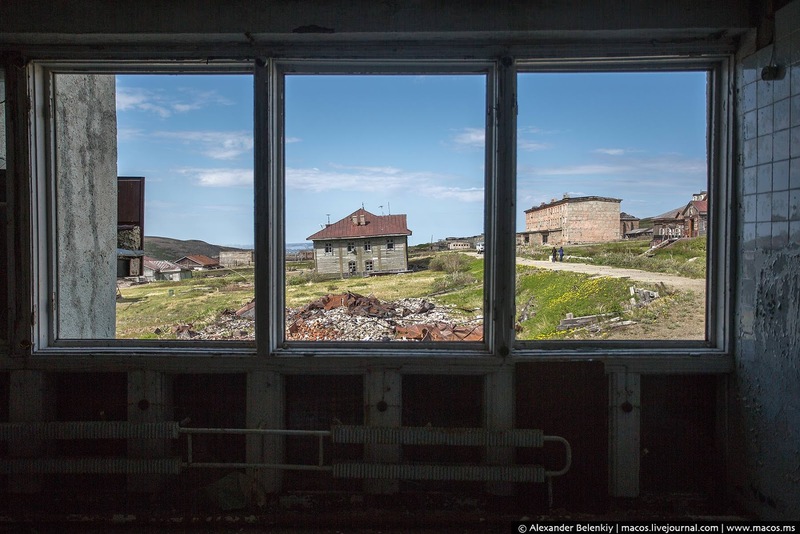 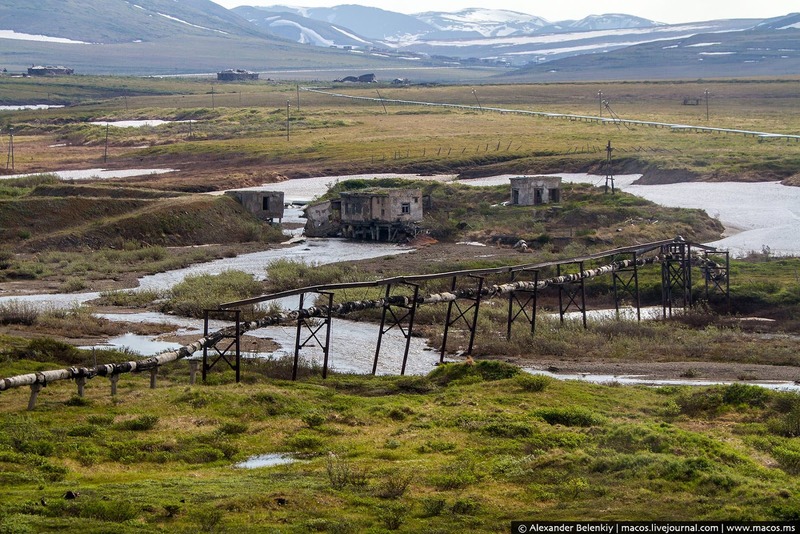 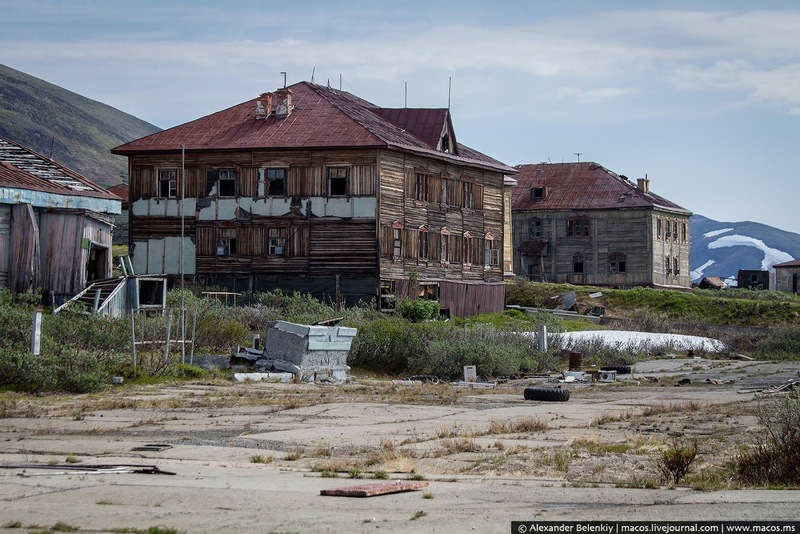 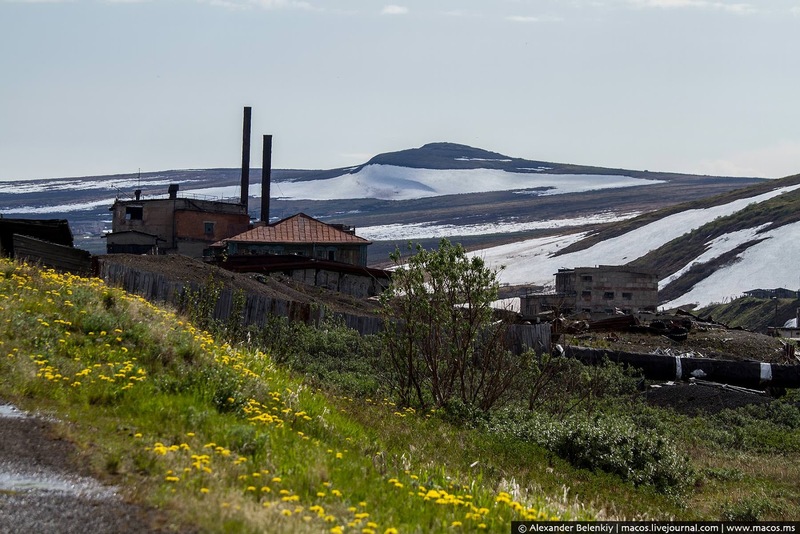 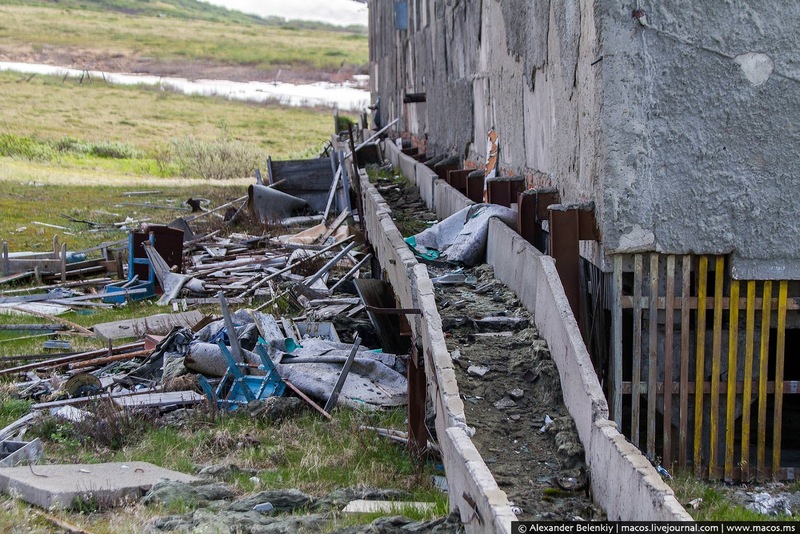 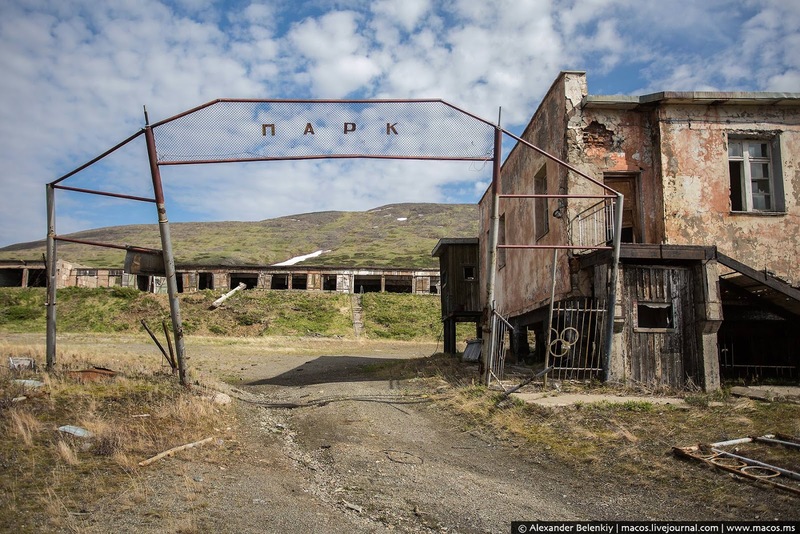 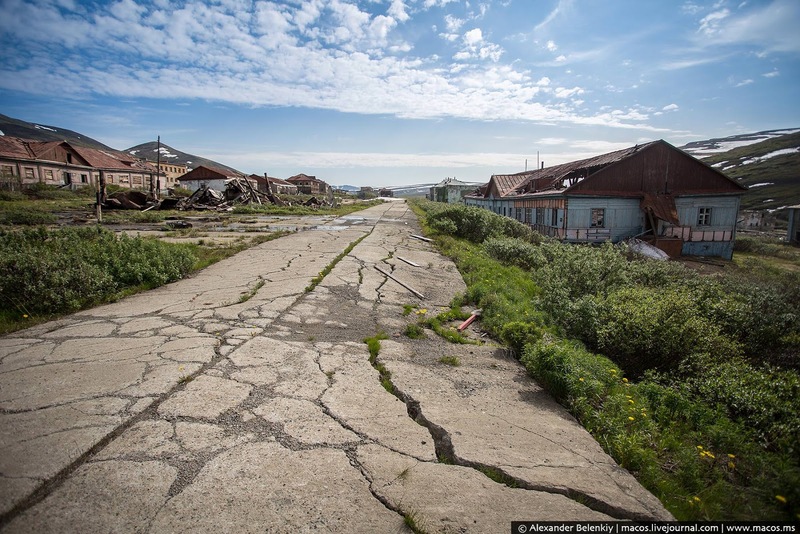 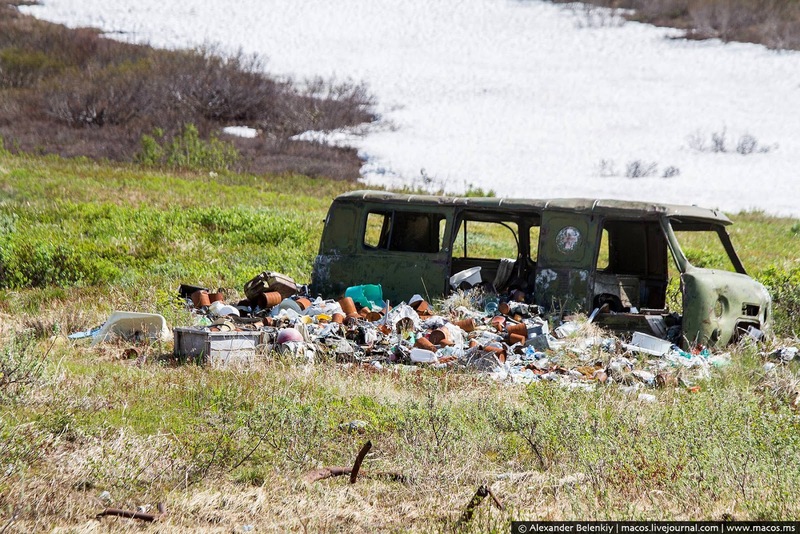 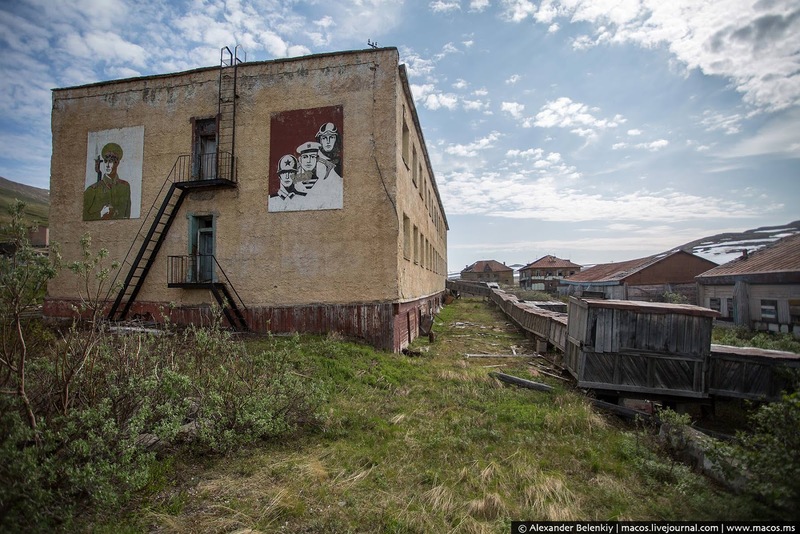 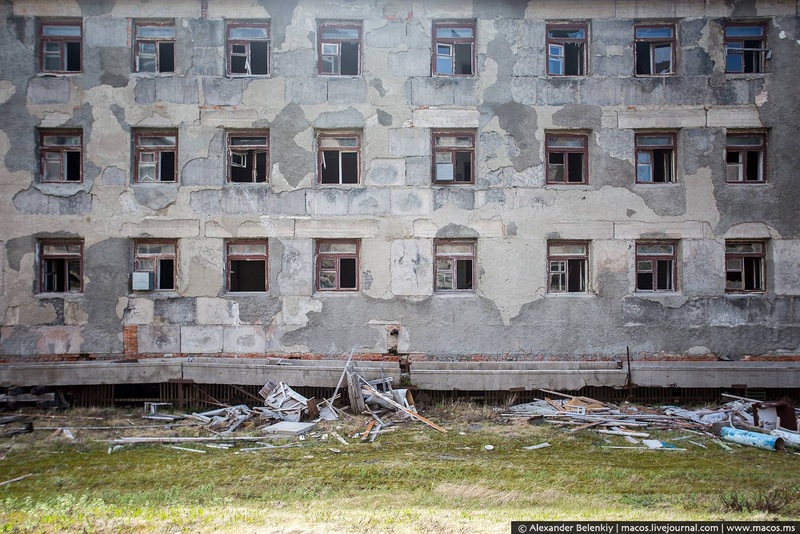 You won’t find much about the town of ‘Gudym’ as the locals called it, because its real name is Anadyr-1, one of at least 15 secret Soviet military cities classified by the government, also known as “closed cities”. 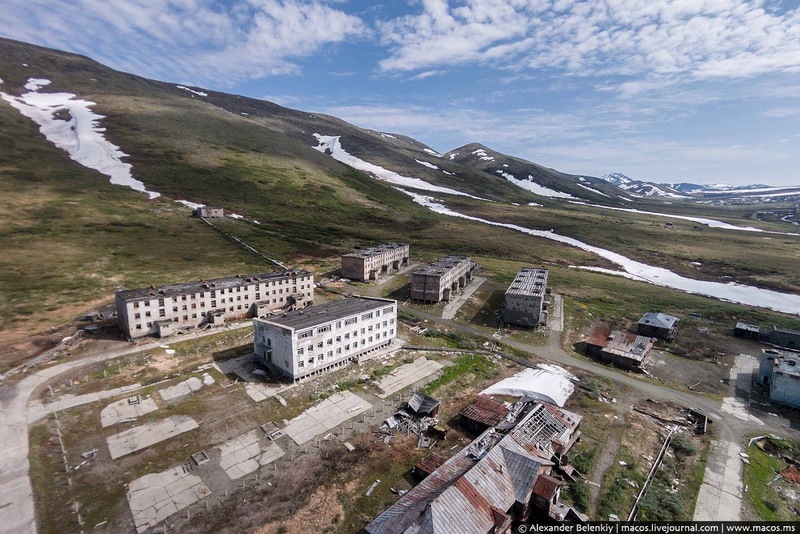 (what looks like one on Google maps). 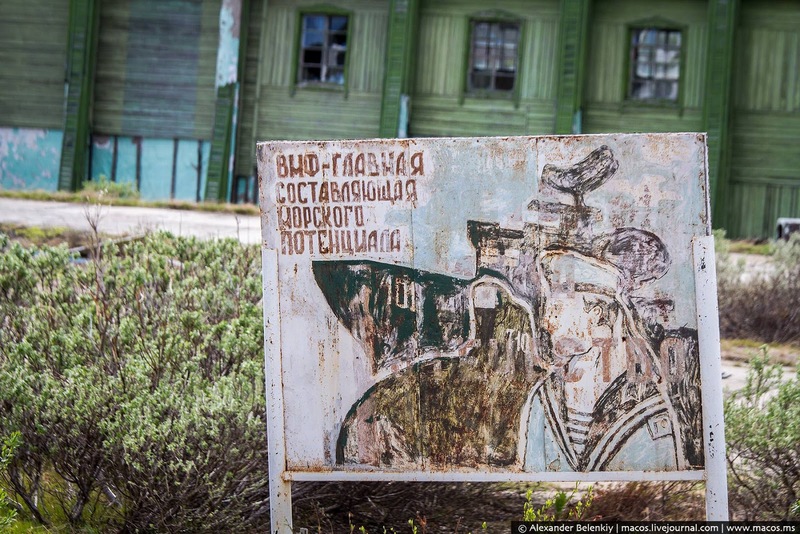 Until recently, this place didn’t officially exist on maps and foreign visits were strictly prohibited. 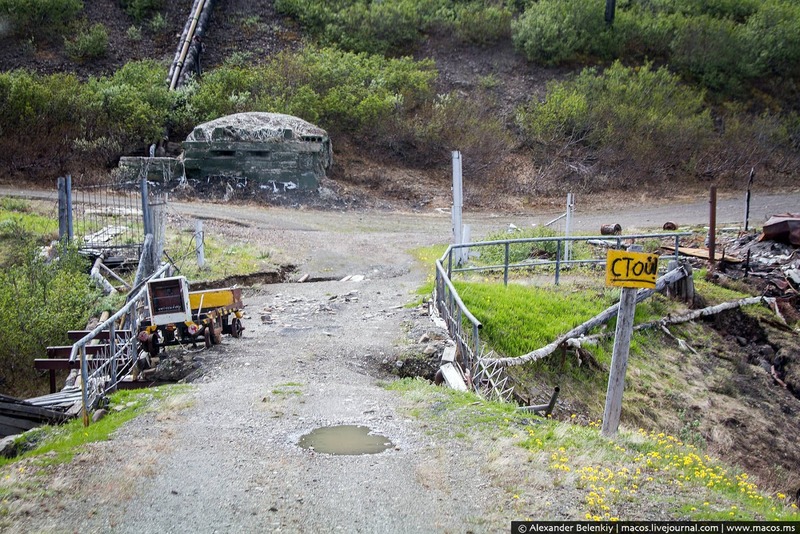 Gudym was built in the late 1950s, complete with an underground base for storing nuclear warheads. 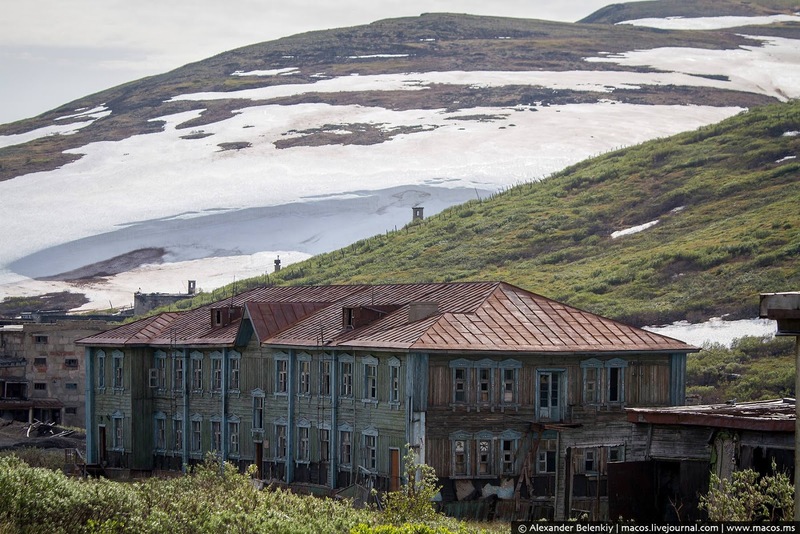 Over five thousand residents (military and their family) lived there beginning in 1961, residing in buildings above the secret facility that stored three RSD-10 pioneer nuclear missiles, allegedly intended for Alaska, Washington state, California and South Dakota in the event of nuclear war. 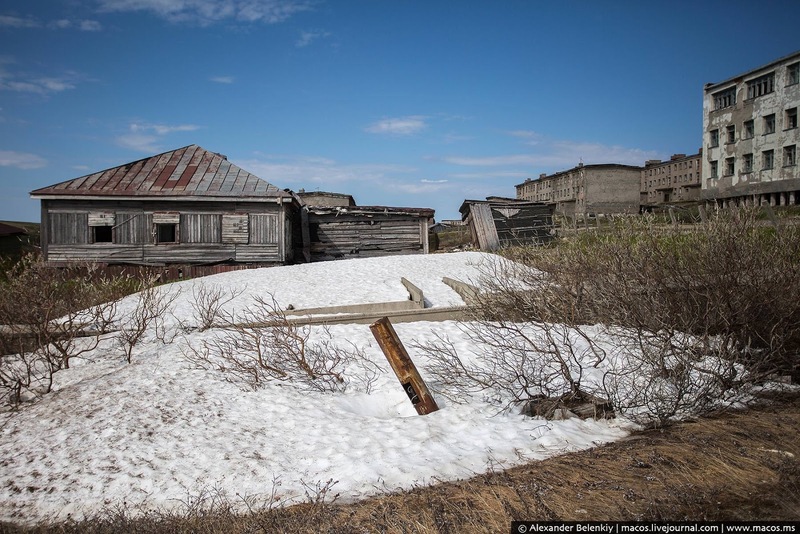 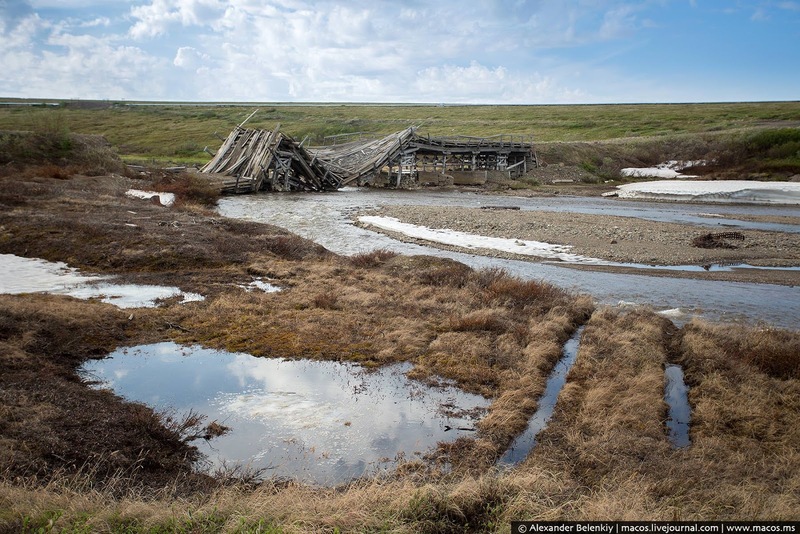 Despite the climate and isolation, Gudym’s residents actually lived quite well here. 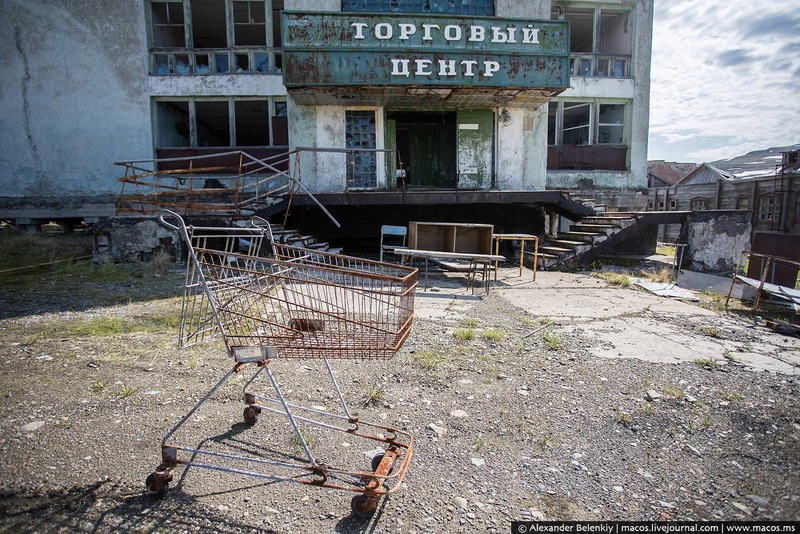 Soviet military had good salaries and the town had a well-stocked grocery store and even all mall , which never experienced the sort of food supply shortages most Russians endured during the Cold War. 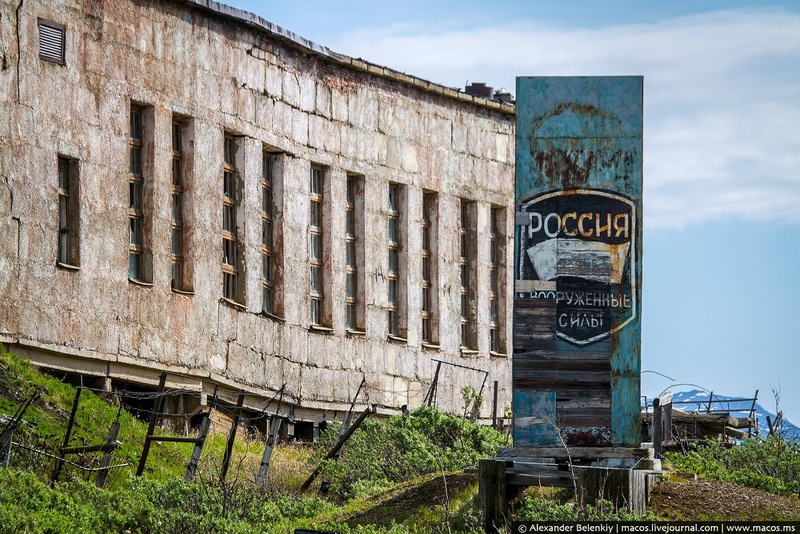 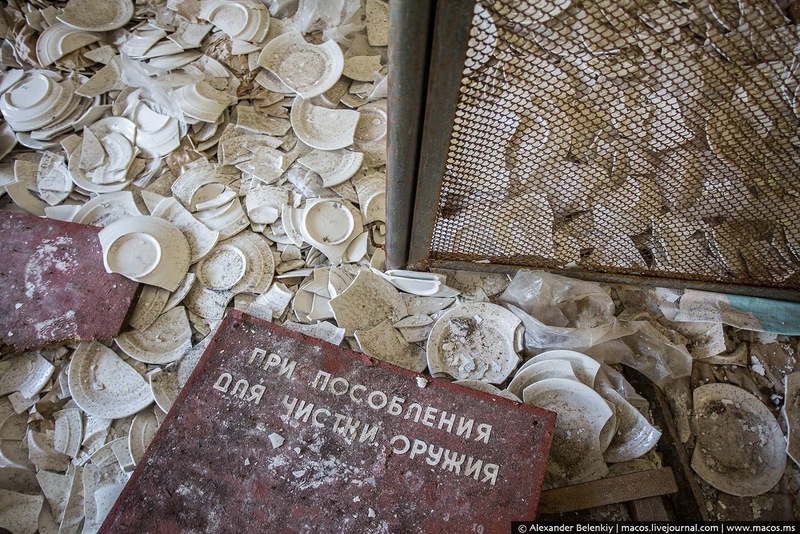 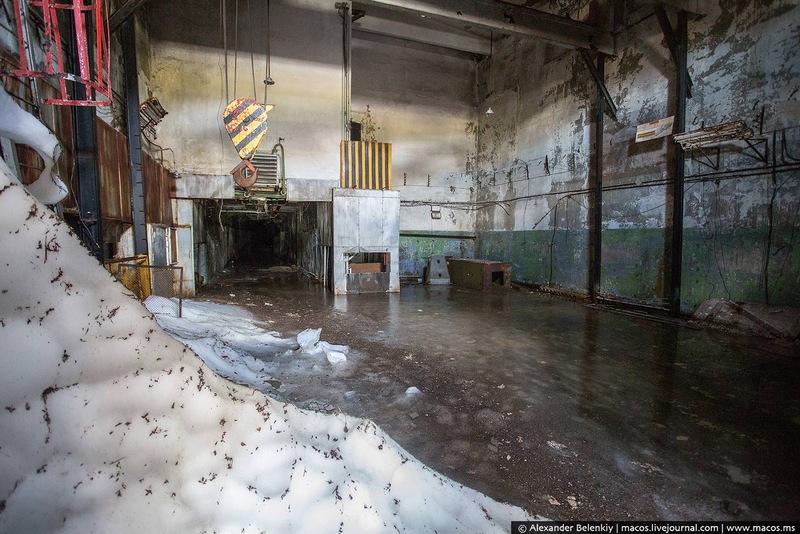 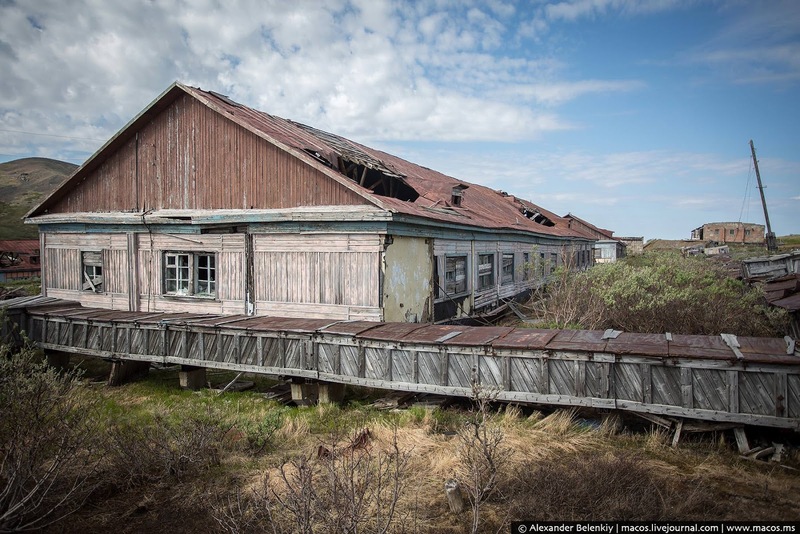 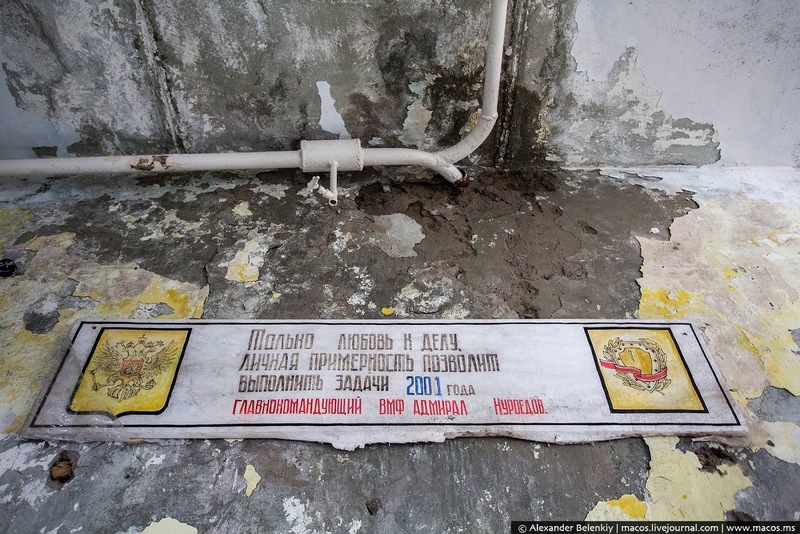 After the INF Treaty saw all nuclear weapons removed from the base in 1986, Gudym continued to function as a military base until the facility was disbanded between 1992 and 1998, and finally abandoned as recently as 2002. 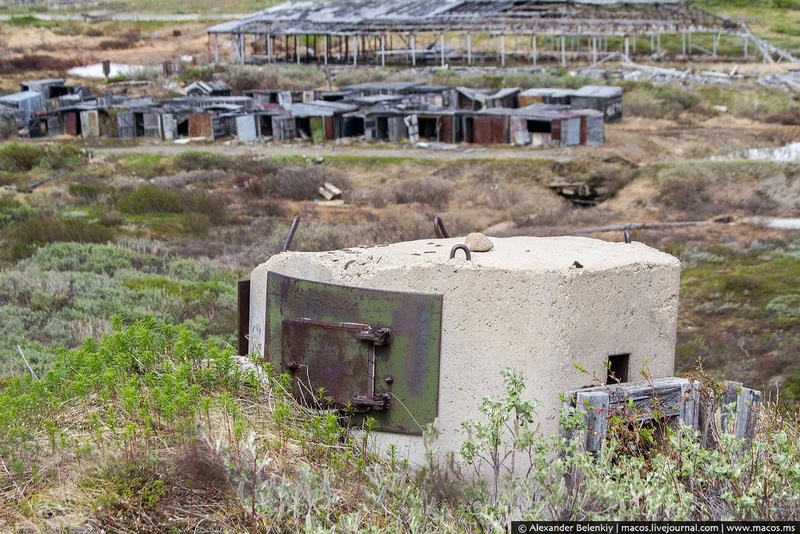 Before the town was decommissioned, it looks like they never had the chance to bring Gudym into the 21st century. 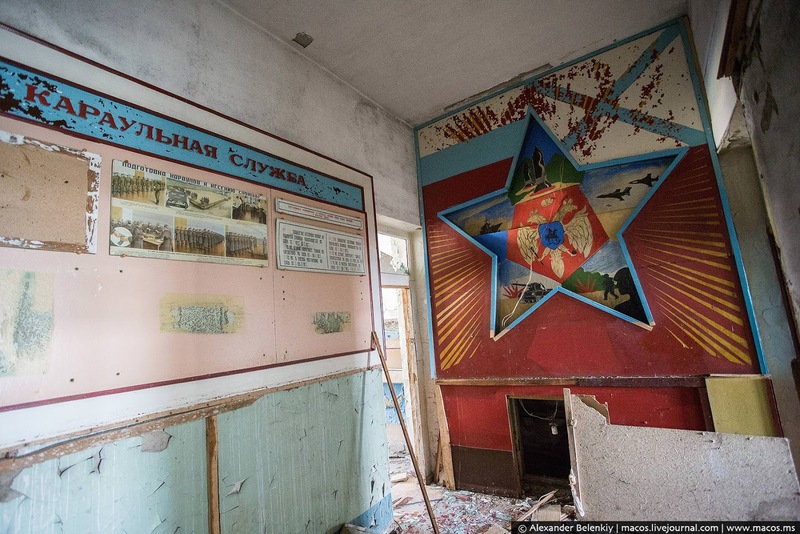 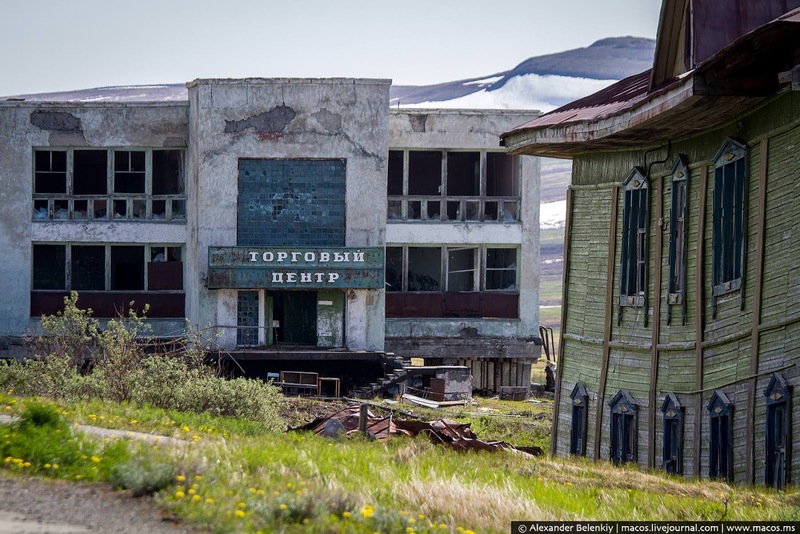 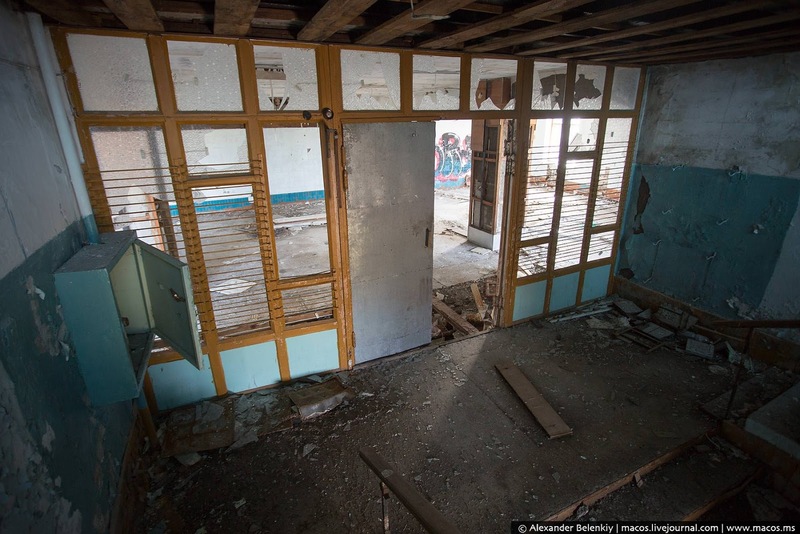 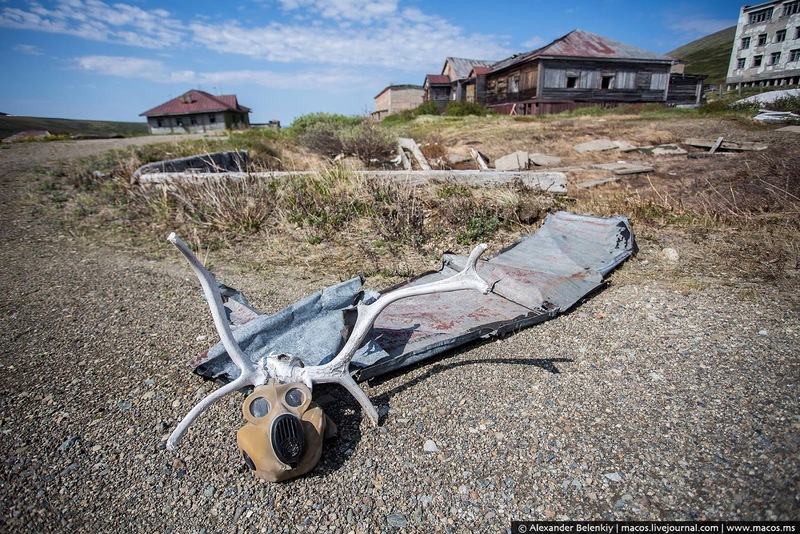 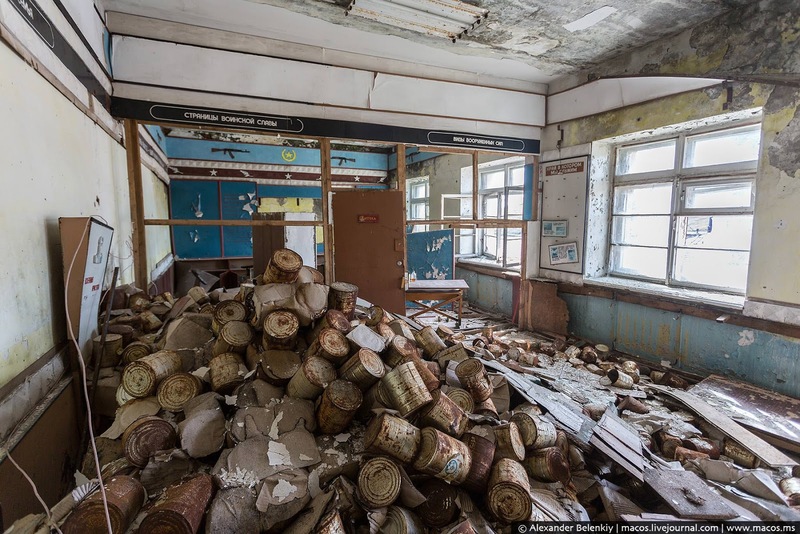 The result is a ghost town, stuck in the Cold War era, just as it was when they still had nuclear missiles ready to be pointed at their American enemy just 200km away.